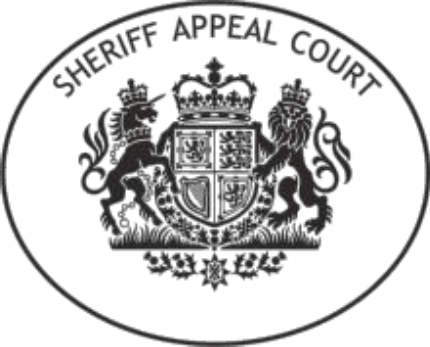 The Sheriff Appeal Court held that the summary sheriff, who had accepted that the open-handed strike amounted to “ill treatment” in terms of section 12(1) of the 1937 Act, was “plainly wrong” not to have found that the ground of referral to a children’s hearing had been established. The court also held that it was competent for the reporter to the children’s panel to appeal against a sheriff’s decision not to find as established the supporting fact to a ground of referral where the ground incorporating the allegation had been found established in relation to other facts. Sheriff Principal Derek Pyle, sitting with Appeal Sheriff Alasdair MacFadyen and Appeal Sheriff Norman McFadyen heard that the appeal was brought by the Locality Reporter, Stirling from a decision of the summary sheriff after proof in respect of a disputed statement of grounds of referral to a children’s hearing in relation to a child “S”, who was referred to the reporter on three grounds. The child’s mother, “KR”, and father, “RL”, did not oppose two of the grounds, which alleged that S’s development was likely to be “seriously impaired due to lack of parental care”, and that she had a “close connection” with a person who had committed a scheduled offence, an assault by KR on another daughter C, which allowed the sheriff to find that those grounds had been established. On the remaining ground, which was that in terms of section 67(2)(b) of the Children’s Hearings (Scotland) Act 2011 a schedule 1 offence had been committed in respect of S, the parents accepted an allegation of neglect based on the fact that the family home was found to be “cluttered, unhygienic and unsafe”, but not the separate supporting allegation concerning the slap, which was said to have taken place in a pharmacy. After hearing evidence the summary sheriff found KR had struck S once to the side of the head with her open hand using “moderate force”, but that the child was neither injured nor distressed, and that the strike was a “momentary fleeting contact” which had happened instantly after S had bitten her mother on the arm. The summary sheriff found in law, inter alia, that the action of KR was deliberate conduct that amounted to ill-treatment, but that it was not one that was likely to cause S unnecessary suffering or injury to health and accordingly that the findings in fact did not amount to a contravention of section 12 of the 1937 Act. He concluded that ground the ground of referral was not established, despite there being no dispute about the other undisputed fact about the state of the family home. The reporter appealed, arguing that the summary sheriff erred, and the parties agreed that the summary sheriff was plainly wrong not to have found the ground established on that fact. However, KR raised three preliminary issues, arguing that the appeal was “incompetent”, as the only matter that could competently be brought under review was whether a ground had been established; that the appeal court should not engage in: adjusting the supporting facts” to the statement of grounds; and that the appeal was “academic”. The appeal sheriffs held that the appeal was competent. Delivering the opinion of the court, Appeal Sheriff MacFadyen said: “In our opinion, this appeal is competent. Section 163 of the 2011 Act provides for appeal by stated case against a determination by the sheriff of ‘an application to determine whether a section 67 ground… is established’. ‘Application’ can be taken only to mean the entire contents of an application, namely the grounds of referral and the supporting facts. The respondent’s interpretation of section 163 so as to exclude the appellate jurisdiction of this court was “absurd”. On the question of whether the summary sheriff, having found that the slap amounted to ill-treatment, erred in holding that this was not likely to cause unnecessary suffering, the court concluded: “Proof of the commission of a contravention of section 12 of the 1937 Act requires the third test of likelihood of causing unnecessary suffering or injury to health had to be satisfied. “The fact that this case involved positive ill-treatment is relevant. The nature of the action, the blow, and the reaction of the child, the movement of the head, are relevant. Those facts, combined with the shock felt by the pharmacy assistant, who witnessed the incident, clearly point towards the establishment of likelihood of suffering. “It seems to us that the summary sheriff fell into error by attaching too much weight to the actual apparent absence of immediate ill effect on S as determinative of the issue of likelihood. If Parliament had required, for proof of contravention of section 12, a consequence of injury to health or suffering, then it could have said so in its definition of the crime. However, all that is required by the section is likelihood of those consequences. “Simply because the child did not demonstrate any suffering does not mean that there was no likelihood of suffering. The question of whether there was likelihood of suffering is one for the court to determine on the basis of the evidence.